By the general public, law, and the order it generates, are often taken for granted. As early as 1967, an American federal report issued by the "Kerner Commission", wisely pointed out that: "The quality of justice which the courts dispense in time of civil crisis is one of the indices of the capacity of a democratic society to survive." When a significant natural disaster strikes, we are given an albeit brief, but sometimes horrifying glimpse into anarchy, society ungoverned by the rule of law, and where you can hear the hoof steps of apocalyptic horsemen trying to saddle and ride. In August, 2005 a hurricane meteorologists named "Katrina" (pictured), wiped out the infrastructures of law and order in New Orleans. Eighty per cent of the American city, with a population of a half million people, was flooded in up to 15 feet of water, resulting in the deaths of 1,600. It also turned the citizens into what the mayor later called an "almost animalistic state". Tens of thousands of people sought refuge in the city's football stadium, the Superdome, while cell phone towers and power lines collapsed. In the Superdome, according to one media international report (later discounted by the local media), referred to "rapes and murders in the Superdome, bodies piled high in the basement of the Convention Centre and snipers firing on rescue helicopters". One police spokesperson said "I was in Vietnam and the conditions here in New Orleans over those few days were worse than a year over there" but the most conservative estimate put the "suspicious death" toll at between 4-8, which, sadly, is an average week for the NOPD. Over 200 police officers deserted during the crisis but those that did stay, used heroic measures to do their jobs, commandeering boats and siphoning gas from parked cars. In the course of their duty, officers shot eleven, killing four and one officer was killed at a gas station while trying to stop looters. During the week of the storm, over 200 arrests were made, almost all for looting or theft. One man was beaten vigilante style when he was caught attempting to sexually assault a girl. Initially, the police department could not detain anybody they apprehended for lack of manpower and any form of transportation to a holding facility, so they were simply released. Within a week, the local Greyhound bus station was turned into a temporary holding jail, with the district attorney working in the gift shop and the local magistrate holding bond hearings. The makeshift courthouse was used for two months and under the circumstances, rules of procedure were relaxed and there was no public access to the hearings. "... were army veterans of the Israeli war in Lebanon. They had been hired by Jimmy Reiss, a descendant of an old New Orleans family who made his fortune selling electronic systems to shipbuilders (and) been flown by private jet to Baton Rouge and then helicoptered to Audubon Place." "All deadlines in legal proceedings, including liberative prescriptive and peremptive periods in all courts, administrative agencies, and boards are hereby suspended until at least October 25, 2005". Some of the federal courts relocated to Baton Rouge or Houston. For months, government lawyers had to work from their homes. 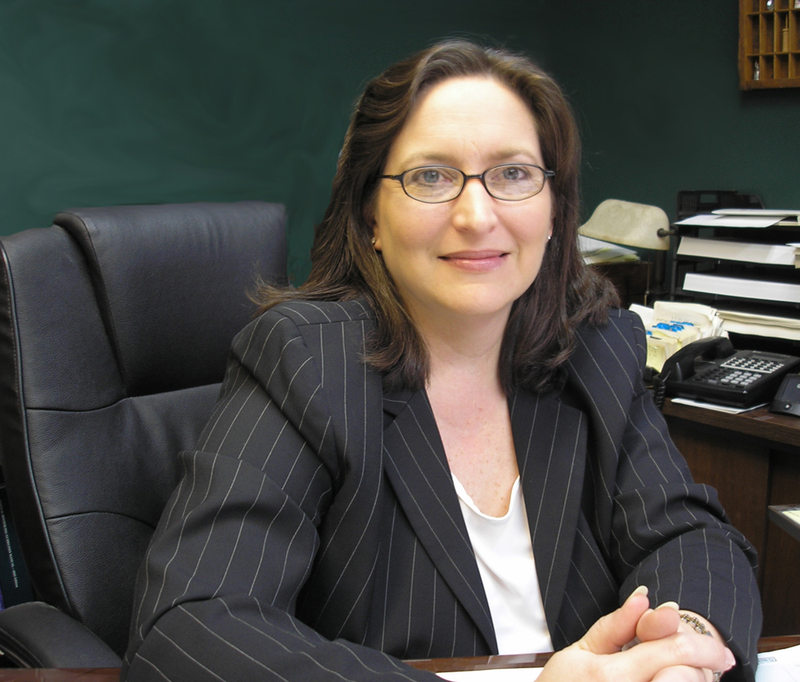 A local criminal law attorney Phyllis Mann (picture, below) spearheaded a web-based inmate-lawyer matching system, culminating in a wave of habeas corpus petitions to address what Mann coined, referring to the a unresponsive judges and court staff, the "Katrina coma". For the first year after Katrina, there were only 15 jury trials in New Orleans despite 3,000 pending cases. New Orleans is also home to the Orleans Parish Prison (known to locals as OPP), the 7th-largest jail in the country, housing some 6,400 inmates. During Katrina, the electrical, air circulation and sewage system failed and water rose chest deep in ground-floor cells. In some cases, guards had to assist the prisoners in breaking through the jail cell just so the latter could breathe. Four prisoners seized the opportunity of chaos and escaped. Inmates had to be herded together on the upper floors, requiring murderers to rub shoulders with overnighters. One Australian tourist, who was spending the night in jail for disorderly conduct, told the press: "We had no food, no power, no air-conditioning, no toilets". Electrically-operated doors in the jails could not be opened. Some prison guards brought their families to the prison, while 200 prison guards simply deserted their posts. Outside the prison, signs were put up reading "WE NEED HELP" in what the local newspaper later called a "five-day struggle to keep destructive and desperate inmates at bay". Unrest, feared to be a prison riot in the making, was finally put down by Department of Corrections SWAT teams. For the judges, lawyers and court staff, things were just slightly less chaotic. A few judges did try to convene hearings at correctional facilities but found that the accused and most of the lawyers absent. Already, America could have learned the hard lesson from September 11, 2001, when the Court of Claims Courthouse, located at Five World Trade Center, was destroyed. Perhaps because of the political nature of that event, or the large police presence unhampered by water, crime actually dropped by 34% across New York City in the week after the World Trade Center catastrophe. All courts in New York City were closed after the September 11 attack, and on the next day but within 48 hours, most were open again, although significant adjournments occurred due to lack of parties, lawyers and police officers, and in spite of an absence of phone and Internet service and public transportation. Judges adopted a make-shift, ad hoc "can-do" attitude and sat well into the evening to avoid adjournments. There were none of the substantial problems that would later immobilize New Orleans. But even today, circa 2014, for all the money spent on disaster, emergency and "homeland" security planning, little attention or planning is available for the sustaining of the legal and court system in times of disaster or emergency, and this void exacerbated the chaos and anarchy of those New Orleans wet days of August 2005. "The Supreme Court should have a system in place that allows for law, for civilization to continue in the face of a disaster. . . . We literally had no system of law for at least the first two months after the hurricane. There were judges who said to us, 'the court ... is closed. Where are you going to go?' No one was in charge. The decisions being made were to not make a decision." The reason often given for the absence of emergency planning for the justice system is the tremendous deference the government gives the judiciary, and the institutional reluctance of the executive branch to monkey with things "justice", including any provision for emergency justice or courts. But the rule of law and maintaining peace is the first responsibility of government, not the judiciary, failing which society falls back to anarchy. That is why we have the tool of martial law. As, some seven years ago, the winds of the Gulf of Mexico gently erased the flood lines of Hurricane Katrina, just as slowly but surely was erased the motivation to act and to provide for effective sustenance of justice in the face of a cataclysmic and large-scale disaster. 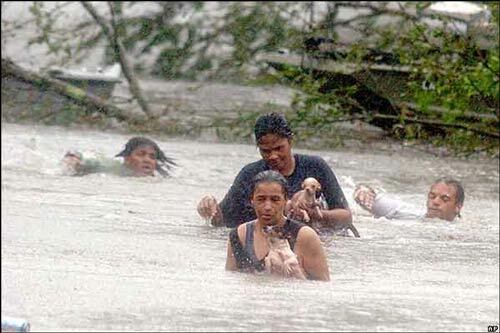 Katrina taught us that we need to plan for these eventualities. Katrina gave us a glimpse into our future should we fail in that regard. More so here than in arguably any other area, an ounce of prevention is worth more than a pound of cure. The justice system may be taken for granted by the general public but no one who works within that system, from the judges to the lawyers and the court personnel, ought to ever do so as with the collapse of the law and the justice system rises the spectre of anarchy and chaos, and the Four Horsemen. The New Orleans Times Picayune, September 23, 2005 "Prison Became Island Of Fear And Frustration"
The Independent, October 15, 2005 "After The Flood, The Hard Truths"